The exponentially growing digitalization of business and life itself is disrupting almost any industry in every country, and it didn’t bypass their HR departments either. Until recently, HR has operated relatively separately from the other parts of the organization, but the evolution of HRMS and SaaS solutions made the HR embedded in everyday business just as much as Marketing or R&D. On the other hand, just like new technologies have created new forms of organizing work (think about digital nomads and virtual organizations), so must the way of managing those employees differ from the conventional ones. In my attempts to understand the challenges of managing people in large enterprises, as well as the shift in the approach that technology brings in this area, I spoke to a couple of experts in this area – a director of HR department in a large corporation, and a CEO of HR software developing company, about their views on employee time tracking as a business practice. Their rich experience in “both sides” of human resource management allowed them to discuss the benefits of this concept, but also to elaborate their objections. The first professional I talked to is Sonja Jovanović, head of HR in Serbian branch of accounting and advisory company Ernst&Young. Besides using manually filled timesheets for tracking revenue streams, and punching cards system for checking in and out of the building (although this serves primarily as a security measure), the company does not use any other forms of time tracking, nor do they intend to in the future. Working hours are flexible, remote work is allowed in some circumstances, and their company culture simply doesn’t leave much room for implementing this type of business practice. The very nature of the industry of providing high-quality services to business clients requires a substantial level of professionalism and severity of their personnel. It takes a tremendous amount of confidence, followed by the strong and thorough selection, to entrust a client to a group of employees. “ […] Therefore, I do not see a situation in which a time tracking tool could bring any value to our organization,” says Sonja. In order to find which companies do find time tracking useful, or even a must have solution for their business, I spoke to Ivan Petrović, CEO of WorkPuls, a company providing time tracking solutions for businesses around the world. “When it comes to implementation of time tracking solutions in medium and big companies, there are two basic factors that affect this. The first is the company culture, and the way productivity is understood in the company. The second factor are the individual views of managers, especially the HR Directors and their priorities”, says Ivan. WorkPuls works with various companies, from BPO companies, software and video gaming companies to construction companies and e-commerce businesses. While they think that there are certain patterns that one might observe among use cases of different customers, they say that there are also differences among specific goals different managers want to achieve. “If you are in charge of HR in a company that has more than 500 employees like one of our clients, and your top level management has an initiative to increase productivity, or just wants to gain better insights into current ongoings, you might sometimes feel that it is impossible to know what everyone is working on currently, how happy or productive they are, and whether some teams or employees might be too loaded with work. So you want to find a way to get your insights efficiently, and this is what a good time tracking solution should provide. Such software gives you an easy overview of what your employees are doing at any given time, if this is what you want to know, but also whether they are getting more or less productive over a specific period of time; if they have too much work to do, whether they are “morning birds” or “night owls” and so on. With these insights, it is easier to work together with your employees to optimize workflow, provide a better working atmosphere, and consequently bring up the productivity of the whole company. Of course, all under the condition that your employees’ work is dominantly computer-bound,” explains Ivan. Since large companies already have their own payroll accounting solutions and punch in/punch out systems, the analytics side of time tracking software here becomes much more significant. Ivan mentions security related questions, along with the need to integrate time tracking data with other data in the company. The overall impression was that for companies like these time tracking would not be yet another control mechanism, but a tool for improving the insight of HR professionals in everyday work and interactions of their people as well. It seems that if you are willing to dig deeper into the metrics, you might discover some remarkable ongoings which would hardly be detected in traditional ways of performance management. For many managers, this feels like a big step forward. Although the digitalization of HR activities has opened great opportunities in terms of increasing the speed and quality of analytical processes and providing greater insights into organizational affairs, while at the same time reducing costs, there are still some downsides to be looked after. Downsizing the HR departments or burdening HR professionals with technical details are the first threats to successful adoption and modernization of people management. The serious threat to privacy that technology presents is the main reason why the initiative for using such tools should and must come from the HR. Bearing all this in mind, we can conclude that the basic challenge of the profession will be to recognize, develop and exploit the positive potentials of digitalization, while at the same time avoid, or at least minimize the concomitant risks. 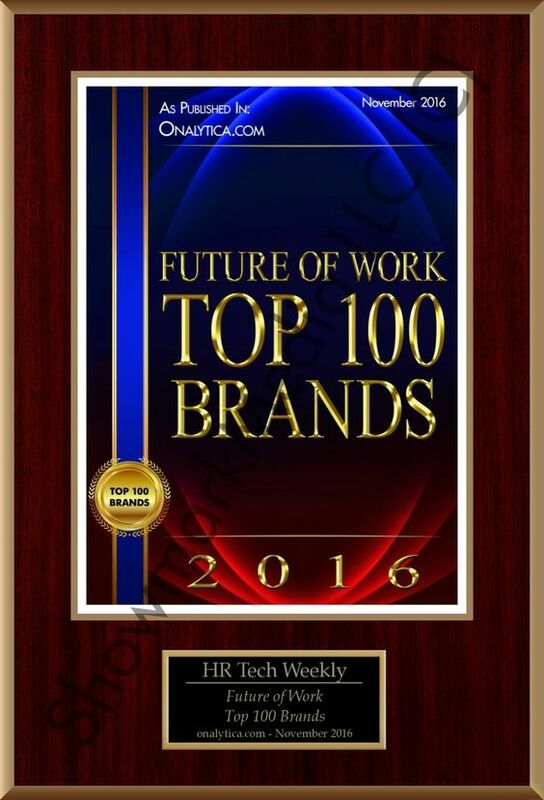 If you want to share this article the reference to Gina Ora, WorkPuls and The HR Tech Weekly® is obligatory. Written by Elie Dib, Senior Managing Director, METNA at Riverbed. Today, the role of the CIO and IT department is more closely aligned than ever to business operations. This is because, in order to ensure a seamless digital transformation, both CIOs and their IT departments have to be able to ensure that business objectives are at the centre of their strategies. In fact, this is critical if they want to drive innovation, deliver better customer satisfaction levels, increase workforce productivity, and reduce bottom line costs during a new project. There is one element of IT delivery that is however often overlooked within all these considerations. This is ensuring excellence in user experience. It is the most fundamental measure of success, as without measuring this before and after any digital transformation programme, there is no empirical metrics to help validate claims of any clear change in the experience with confidence. And user experience often determines increase of productivity, employee engagement, cost savings and can also result in better customer service being delivered. There are four common barriers to digital transformation initiatives. Below we explore the steps an enterprise can take to overcome them. Business unit leaders and IT professionals, are often summoned to a war-room meetings to explain why an IT-related project or change aimed at improving business productivity or customer service resulted in so much negative feeling toward the initiative. Unfortunately, this is often because all parties are not aligned. More often than not, these situations can easily be avoided by first starting at the vantage point of the end-user experience to see how IT services are being consumed. Both business unit leaders and IT professionals need to sit down together and map out objectives and KPIs for technology changes. The plan could be tested with a small group of end-users. But ultimately if both parties know what the outcome must be, there is no room for confusion in delivery — and it can help both parties to get back to their respective roles in supporting the business. Organisations are using hundreds, sometimes thousands of applications. New applications are constantly being deployed, whether the new version are upgrades or replacements for old legacy applications. This all brings risk. Poor application performance can significantly impact competitiveness, and, in sectors such as healthcare, can directly affect patient care or put sensitive data at risk. Application upgrades can be a key catalyst for issues that impact productivity. With so much variation in hardware, location, network, and user expectation across the business it becomes an ever bigger and more complex task to thoroughly test every combination of how an application could be consumed by different users. Data centre monitoring solutions are partially helpful in reporting on the availability of centrally hosted applications, backed by reports and dashboards with lots of positive results. However, this information alone is rarely indicative of a positive experience for end-users on the receiving end. By contrast, effective end-user experience monitoring allows benchmarks to be created over time which clearly show precise historic application performance metrics. Then, upon application upgrade or migration, any positive or negative deviation in performance can be viewed immediately with the analytics to show exactly where the change in response time and experience is occurring. Adoption is key to the success of products and services. Within Riverbed’s collective frame of reference, users tend to only embrace change when they feel confident and experience an incremental improvement in their interaction with an application or desktop. Users need to be brought on the journey of change. Reasoning behind the changes need to be explained, and effective training put in place to make any change in strategy or a transformation as positive as possible. In addition, for future change initiatives, empirical evidence in the form of data from monitoring can prove invaluable. Businesses must be able to measure system performance against end-user productivity over time to ensure there’s no real negative impact, but rather only improvement. The three previous topics can easily be combined within the one single category of poor visibility of the end-user experience: in other words — the visibility gap. In short, this relates to the lack of insight into how IT services or change initiatives and digital transformations actually impact the experience of users, which ultimately impacts business performance. The key thing to keep in mind is that any effect on end-user experience can only be measured from the end-user’s perspective of how they are consuming IT services — and with proactive alerting so when there is a deviation in performance, IT is notified directly, and doesn’t rely on the workforce calling their IT team or the CIO to complain. So what has enables organisations to embrace IT change for the greater good of the business? The bottom line is that no enterprise business can manage or improve until it can measure. Therefore, the recommendation is equally simple. Measure and benchmark your business’ existing user experience and instantly compare any variations when a change is made. To conclude, whether the business is looking to change a specific IT component or to enable full-scale digital business transformation (in a positive manner) CIOs, IT professionals and their business unit partners need to ensure the experience for their end-users is optimised as part of the project — in effect, treating them like IT consumers. What’s more, no business can rely on IT end-users as the primary source to the business to problems. To achieve this, the business needs easy access to real empirical user experience data that enables it to easily compare the before and after of changes. So, the first step in this approach, and for your next IT transformation task, is to start with end-user experience to help ensure a successful outcome. If you want to share this article the reference to Elie Dib and The HR Tech Weekly® is obligatory. For anyone who’s answered an email or text from a project team member on a weekend (and that’s just about all of us), it comes as no surprise that digitization has profoundly disrupted the way we work. However, this “new normal” of always-on, instantaneous communication among networks of teams is now dovetailing with another force that is equally as disruptive: a changing workforce, led by increasing numbers of Millennials. Together, these forces are impacting the service delivery landscape and calling upon the HR shared services organization to engage with employees via digital tools, often in entirely new ways. · Are digitally native, and, by and large, they would rather use their phones for text or email than talk to people. · Tend to shun purely financial motivations, as they feel employee satisfaction and treating people well are the most important values in terms of long-term business success. · Crave leadership opportunities, with only 28 percent of the respondents in the Deloitte Millennial Survey believing their organizations make full use of their skills. · Expect to have mentors bring them up in the firm. · May have little, if any, loyalty to companies and may leave quickly if they believe their leadership skills are not being developed or if the company puts financial performance above everything else. So, what does this mean for HR shared services? Nearly every company today, but especially those in traditional industries such as mining, manufacturing, and energy & resources, must find a way to replace growing numbers of retirees by attracting Millennials and elevating them to leadership roles quickly. This path toward reinvigorating the workforce by engaging Millennials runs directly through HR. To attract and retain next-generation employees, HR organizations increasingly must deliver consumer-grade services through shared services by adopting digital tools and making the cultural adjustments required to leverage them fully. Many service delivery organizations have started to do this by transforming their contact centers, mainly by moving toward web self-help, email, and mobile channels to address simple inquiries, and reserving voice channels for answering more difficult questions. This makes sense given Millennials’ resistance to talking live, although the electronic component of these interactions has to be customer friendly. The technology has to work, without too much clicking or form-filling, or Millennials might move on—abandoning the interaction, and if the dissatisfaction persists, perhaps abandoning the employer altogether. The strategic importance of digitizing the contact center was further emphasized in the findings of the 2015 Deloitte Contact Center Survey. Of note, 85 percent of organizations surveyed view the customer experience provided through their contact centers as a competitive differentiator, and half (50 percent) believe the contact center plays a primary role in customer retention. While many HR shared services organizations are in tune with the engagement challenges next-generation workers pose, Millennials aren’t the only game in town. Baby Boomers and Gen Xers still must be served, and their customer satisfaction ratings are also important. While Millennials may view texting as a genuine form of human engagement, older groups largely do not. They want to talk to someone, and they view personal interactions as a preferred, and largely more effective way to solve problems, particularly complex ones. Serving the needs of a multigenerational workforce today requires organizations to introduce digital employee experience tools, especially those that promote self-service and collaboration, while preserving existing voice-channel capabilities, at least in some situations. However, maintaining multiple platforms can be expensive and cumbersome, and stranding existing IT investments is rarely an option. Regardless of what technologies you choose, an improved digital employee experience is the next frontier in shared services. The overarching objective is to create a digital workplace that capitalizes on a company’s current technology investments by bringing disparate systems together and providing a personalized journey through shared services processes and related content via guided interactions. Why is this so important? Millennials expect nothing less. Your shared services center has to deliver high quality services or the next-generation workforce may gravitate to an organization that can. 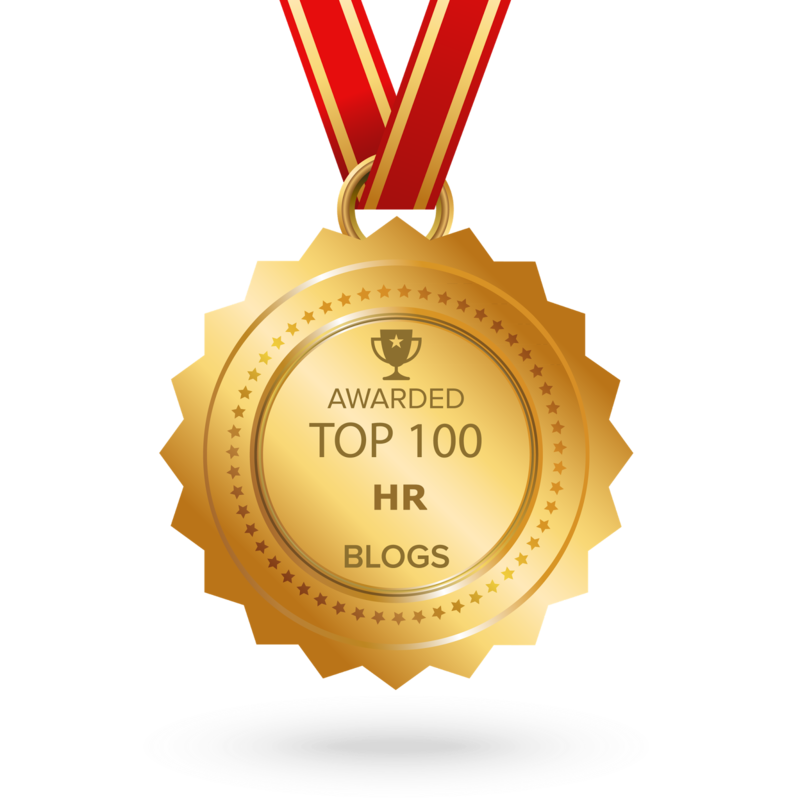 For more insights about current HR topics, visit the HR Times Blog. Marc Solow is a director in Deloitte Consulting LLP and responsible for leading Deloitte’s HR Shared Services market offering in the United States. Marc has led the consulting services in support of several global HR transformation, shared services, and outsourcing projects for large and complex clients in a variety of industries, including insurance, health care, life sciences, consumer and industrial products, and energy. In many industries, there is an ever shrinking demarcation of the traditional working day. The fact is, we live in a 24/7 consumer society, and those demands are cascaded through to businesses throughout the value chain. This is particularly the case in the tech industry, where the growing trend in flexible and remote workers means the boundary between home and work balance is becoming ever more blurred. When it comes down to it, the 9-5 working day and 35 hour week with time off for good behavior that was the norm for our parents and grandparents is actually quite a rarity today. But flexible working practices do not just mean fitting hours to suit personal and business needs, and seeking that holy grail of 21st century existence, the mythical work life balance. Seasonal work is also becoming more common in industries outside the traditional farming and recreational sectors, and is starting to be seen in everything from retail to back office to academia. Here, we take a look at how employment law applies to workers falling into this ever widening category. 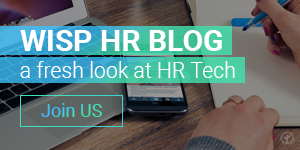 Even for those who have been in regular employment within the HR tech industry, the rules might seem complex due to variations between states, but the underlying principles are simple enough. If the worker has been laid off through no fault of his or her own, and meets the requirements for the amount of time he or she was in work, then benefits are available. For seasonal workers, the same principles are in play, but they are a little more complicated to navigate. Specifically, the lack of work at certain times is an understood and acknowledged part of the deal. As such, workers are not actually unemployed, and so many states will not subsidize them during this “lull” period. States that have a more generous attitude towards seasonal workers, typically those with a significant tourist sector and therefore a larger proportion of people falling into this category, calculate the amount payable on the basis of what was earned during the base period, just as they would for someone who had been in full time employment. Almost three quarters of employers use contractors to provide tech support at one time or another, so how is this sector affected? Only an employee can claim benefits, and in the vast majority of cases, contractors are considered to be self employed, and are therefore ineligible. Even more complex is where the contractor hires seasonal assistance. In this case, however, the key word is “hires” – the assistant is not considered an employee any more than the contractor is, and therefore is not generally going to be able to claim unemployment. The above all suggests that where unemployment benefits are concerned, the deck is clearly stacked in favor of full time workers, and it could be argued that seasonal employees are not as fairly treated as they could be. Ultimately, though, it is important to remember that rules can vary significantly, so if you are unsure regarding an individual’s eligibility to claim, it always makes sense to check with your state unemployment office to get specific advice.